This was one of those times when I saw that stamp set he used and felt instantly compelled to purchase it. You'll have to go to Tim's blog post today to see all the images in this set to appreciate what I'm saying. Plus, he takes us through all the steps to make this gorgeous piece of art there too. 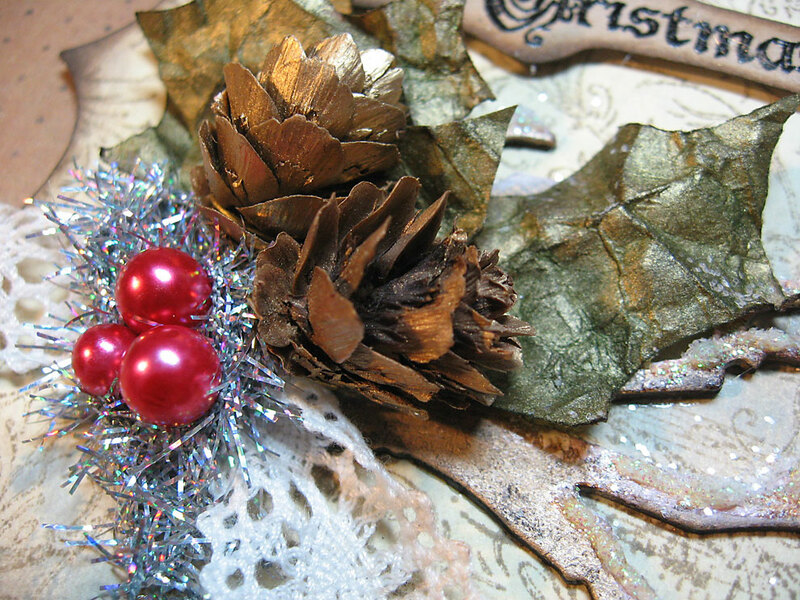 I added a few gilded mini pinecones to fill in the cluster a little more. Mine seemed to need it. The photo is a bit dark so be sure to click on it to get a better view. I resisted the urge to drive all the way to Orlando to try and find the Joyful Song stamp set Tim used. My friends over at the Scrappy Boutique would probably have it on the shelf. 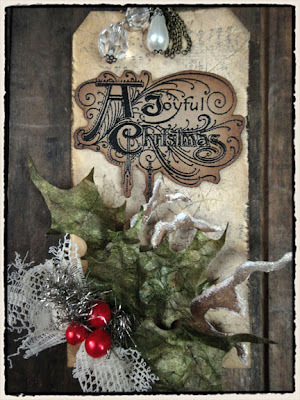 Instead I pulled out my "St. Nick" stamp set from Close To My Heart and used the Merry Christmas image embossed in black. 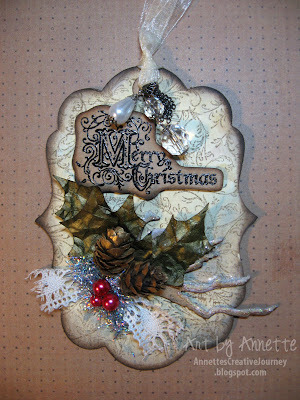 Since I didn't have the crackled-looking background stamp, I opted for flourishes. I love Tim's technique of ghost-stamping the music notes, although mine are more than a tiny bit crooked. 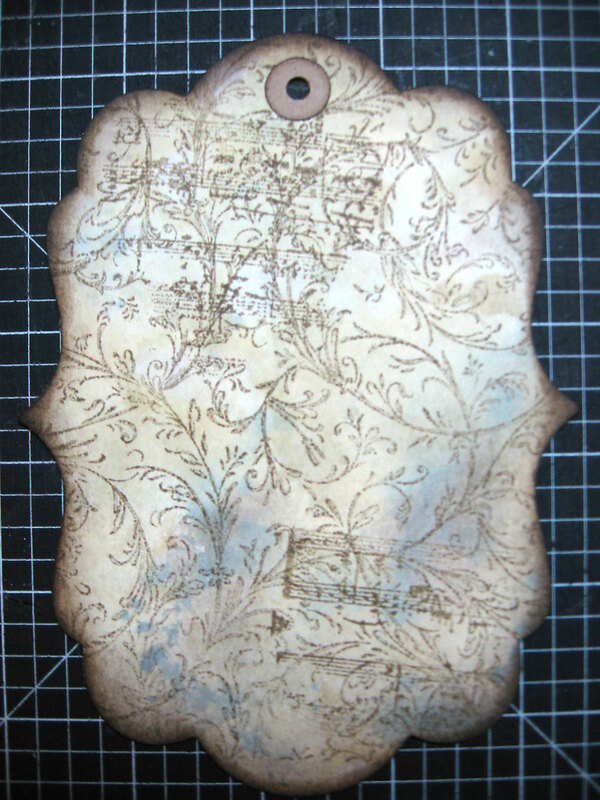 I figure after I add all the embellishment, maybe no one will notice. 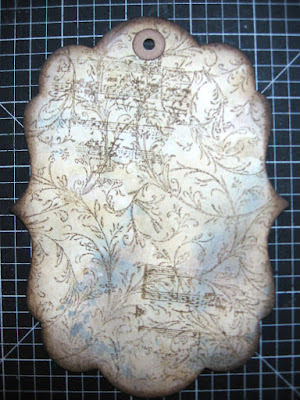 Did you notice on my finished tag? Also didn't have the Holly Branch Alteration die, so I borrowed the Branch Tree die from my friend Patty (thanks Patty!) 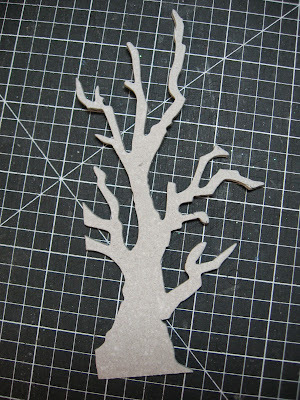 and cut off some of the branches. For the holly leaves, I used my Joys of the Season Cricut cartridge, but it was a little tricky cutting kraft glassine on the Cricut. I was able to salvage 5 of the 6 leaves I cut so I think I got pretty lucky. Thanks for stopping by today. Looking forward to what tomorrow brings! 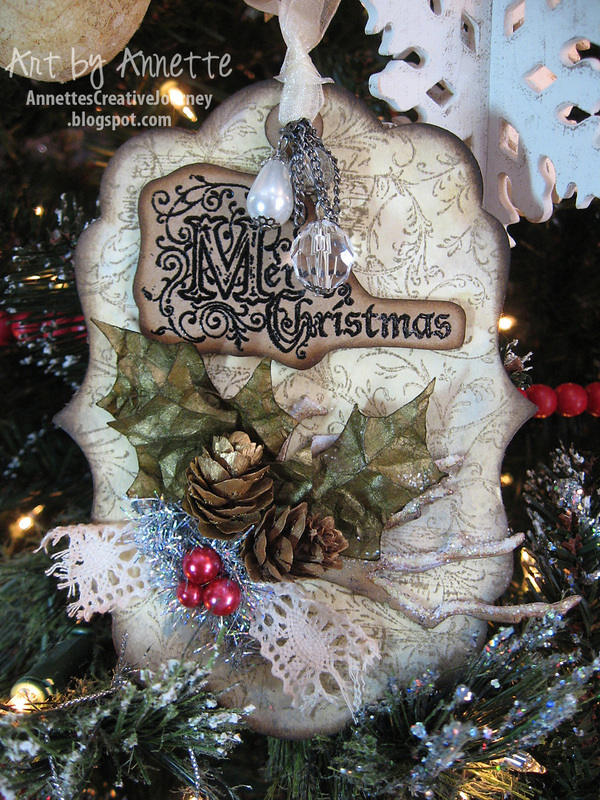 A beautiful alternative for day 7! Lovely tag and I like the die cut for the tag - and I know what you mean by being compelled to purchase that stamp set... I'm real close to doing it myself. awesome job! Love the shape you used! I had to laugh about the "obsession". One night I did get up in the middle of the night to look and got so excited I was up for three hours! It was fun at 2:30 am, but not so much fun when the alarm rang at 6:45! I really enjoy your blog; especially your twist on the tags. Nice work.